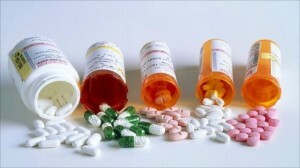 Steroids are a major topic in the world of sports and bodybuilding, and have been for a long time. And for most athletes, there is a massive amount of information about steroids available on the internet and other sources. But for many young bodybuilders, understanding the basics of steroids, the types of steroids out there, and their associated uses and effects, can be somewhat overwhelming. However, understanding them is the key to using them effectively. What many people don’t realize is that steroids actually take many forms, only some of which are useful in building muscles. In fact, many steroids are used to break down muscles, not build them. These steroids, called corticosteroids, are also used in other processes, like stress response, immune response, carbohydrate metabolism, and electrolyte levels. There are literally hundreds of varieties of naturally occurring steroids, and they’re made by everything from fungi to virtually every vertebrate life form on the planet. The human body not only produces Testosterone naturally, but also produces other steroids like Cholesterol and Cortisol, for example. However, for the purposes of this discussion, we’re going to focus on the types of steroids that are involved in muscle building and performance enhancement. This class of steroid, called Anabolic Androgenic Steroids. They are called anabolic because they cause an increase in protein consumption by cells, primary muscle and bone cells. They’re also called androgenic, because they enhance physical qualities that we normally associate with males, such as a deeper voice and increased body hair. Even those steroids that are involved in muscular development and performance enhancement come in several different varieties, or classes, which are further broken down into individual steroids. 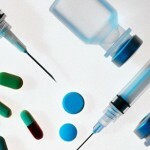 Below, let’s look at the different steroids out there. The most fundamental and popular form of steroid on the market is Testosterone, and the various derivatives of Testosterone. Mostly this is because Testosterone is a very effective muscle-building steroid, the effects of which tend to stick around longer than most any other type of steroid. Testosterone was first created outside the human body in the 1930’s, and there have been several other synthetic variations created over the years. Testosterone – The granddaddy of modern steroids, Testosterone is still the most commonly used steroid today – really, all anabolic steroids are ultimately derived from Testosterone. In fact, the other two steroid ‘groups’ wouldn’t even exist without Testosterone, as dihydrotestosterone (DHT) is created during the metabolization of Testosterone, and nandrolone is created during the process known as aromatization, when Testosterone is converted into Estrogen. Dianabol/Methandrostenolone – The first steroid to be synthesized from Testosterone, Dianabol (official name methandrostenolone) was first created by Ciba Pharmaceuticals in the 1960’s. Dianabol was created to replicate the mass-building effects of Testosterone, without some of the common side effects. Dianabol is often used for mass building, however the use of Dianabol by itself is of somewhat questionable effectiveness, as the required cycles are short, which limits the ability of the body to ‘lock in’ the gains made. Therefore, Dianabol most often used in a combination or ‘stack’ with another steroid, like testosterone. Equipoise/Boldenone – Equipoise was originally created with the goal of having a steroid that worked like dianabol, but was able to last longer in the body and produce more lasting results. But while equipoise is very similar to Dianabol from a molecular perspective, that’s where the similarity ends. Equipoise is actually more similar to Testosterone than anything (including deca durabolin, to which it’s often compared), but with a much slower aromatization rate, and therefore much lower rate of estrogenic side effects. Dihydrotestosterone, otherwise known as DHT, is created from Testosterone when it’s metabolized within the body. In other words, Testosterone is the precursor hormone for both DHT and nandrolone. DHT, while forming the basis for several DHT-based steroids, is not effective in its un-modified state, because it’s immediately metabolized and changed into non-steroid hormones. However, modified versions of DHT are effective steroids. Winstrol – Winstrol (also called stanozolol) is a very common steroid, primarily used for enhanced definition and cutting. Winstrol is not effective in creating muscle mass and bulk, and is really only used to ‘cut’, i.e. increase muscle definition. Winstrol is usually taken in oral form, as it’s designed to be ingested without being destroyed by the liver. 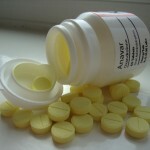 Anavar – Generally considered to be the mildest oral steroid on the market today, anavar has relatively mild side effects and is very popular among female bodybuilders. While anavar might not produce the dramatic gains in muscle mass you get from Testosterone, for example, it does produce lasting effects. Muscle gained through anavar usage has been shown to last up to 6 months after the drug was discontinued, and fat loss due to Anavar usage has likewise been shown to be long-lasting. Primobolan – Primobolan (methenolone acetate) is available in both injectable and oral versions, and is primarily used to burn fat and increase definition. Primobolan, even in the oral form, is very easy on the liver as well, and doesn’t have any estrogenic side effects. It does produce some gains in strength and muscle size, but it primarily used as a ‘cutting’ agent. Masteron – Initially developed in the 1960’s and released in the 1970’s, masteron was used for years to treat breast cancer in women, and was an effective treatment for that condition. However, over the years, other treatments replaced masteron, and its therapeutic applications have dwindled. However, as a steroid, masteron is an effective cutting agent, well known for its ability to promote muscle definition. Like DHT, nandrolone is created when Testosterone is processed by the body. nandrolone and its derivatives are called a Progestin, and it only aromatizes slightly in the body. nandrolone is highly anabolic, and increases the number of androgen receptors in the body. It’s also considered relatively safe as compared to other steroids. Deca Durabolin/Nandrolone Decanoate – Perhaps the second most popular steroid after Testosterone, deca durabolin (‘deca’) is a relatively mild steroid derived from nandrolone, which has relatively low conversion to estrogen (i.e., low aromatization). Like other steroids, deca is best used when combined with other steroids, such as dianabol or masteron. Trenbolone – Trenbolone (trenbolone acetate) is one of, if not the most, powerful muscle- producing steroids on the market today. Trenbolone is very similar at the molecular layer to nandrolone, its parent hormone, and therefore is similar to Testosterone as well. Trenbolone is known for its dramatic muscle-building effects, as well as its strength enhancing abilities.